How I’m styling my wardrobe as the weather cools down. 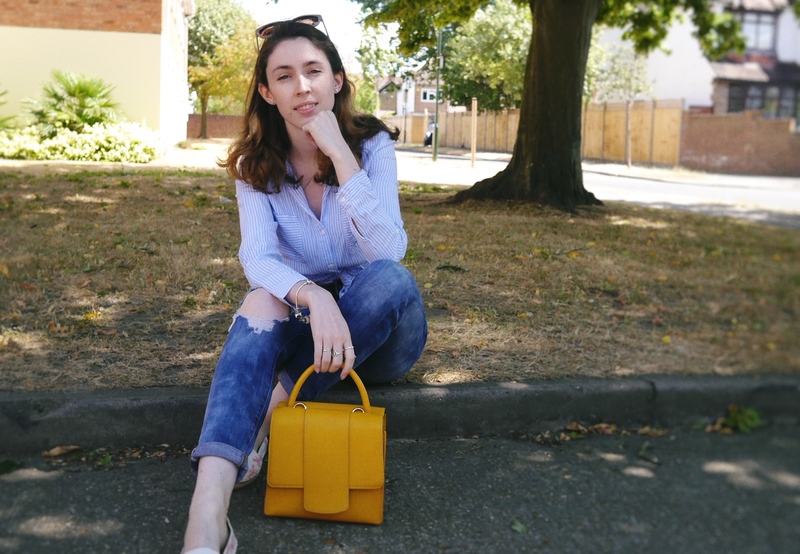 Jeans – New Look (similar|similar)|Shirt – H&M (similar)|Shoes – ASOS|Sunglasses – MAX&Co c/o Specsavers (similar)|Bag – House of Fraser (similar). The rain finally arrived and a cool breeze started to sweep around London, I could not be happier. Don’t get me wrong I love the sunshine but not when it’s like you’re living on the sun and all your clothes stick to you. Waking up to the smell of wet grass and the thought of spending all afternoon in a pub garden without melting filled me with joy. 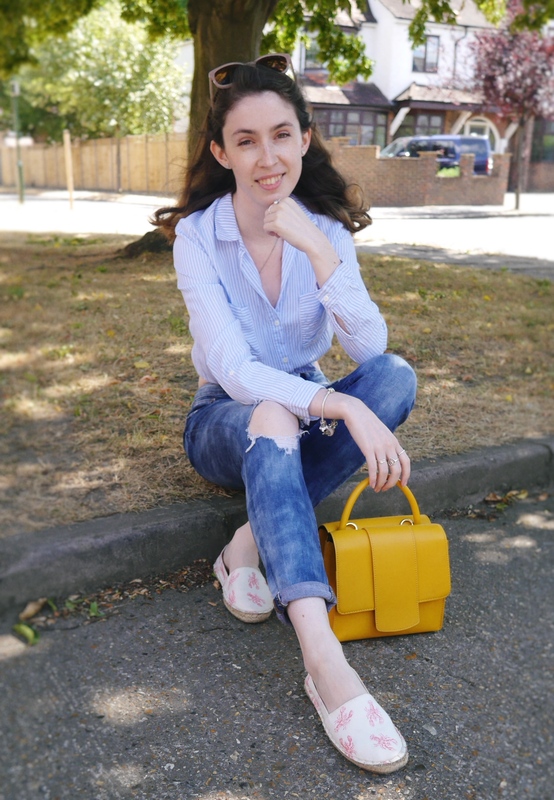 I love the in-between weather, back to my favourite uniform of jeans and a shirt. 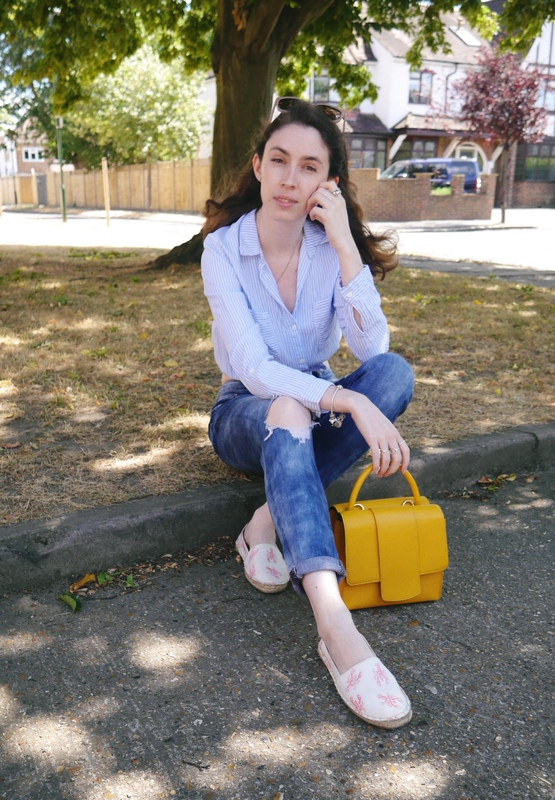 I am loving espadrilles this summer, and these cuties from ASOS are covered in little lobsters. Super comfortable, light weight and the perfect slip on for a potter to the local shop. 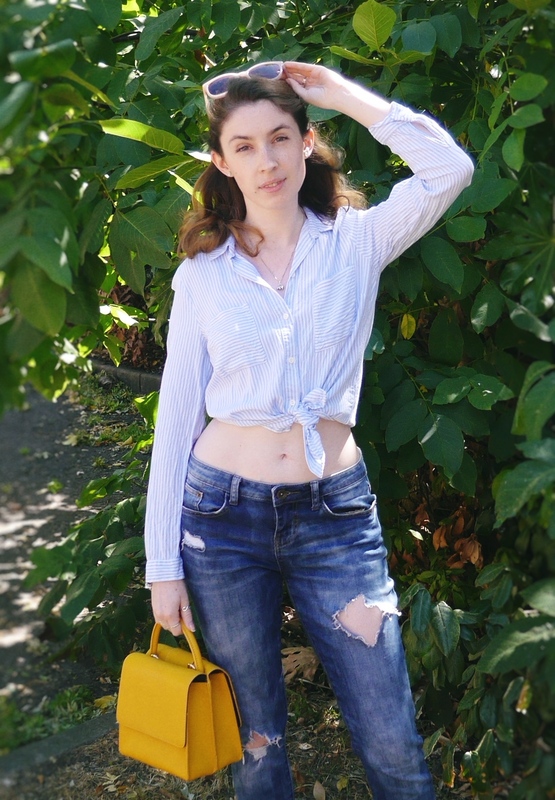 It wasn’t quite cool enough for skinny jeans so I opted for my slightly looser boyfriend jeans, when the spending ban is over next year I am definitely going to pick up another pair of boyfriend jeans to add to my collection, they are just that little bit more casual for lazy weekends. 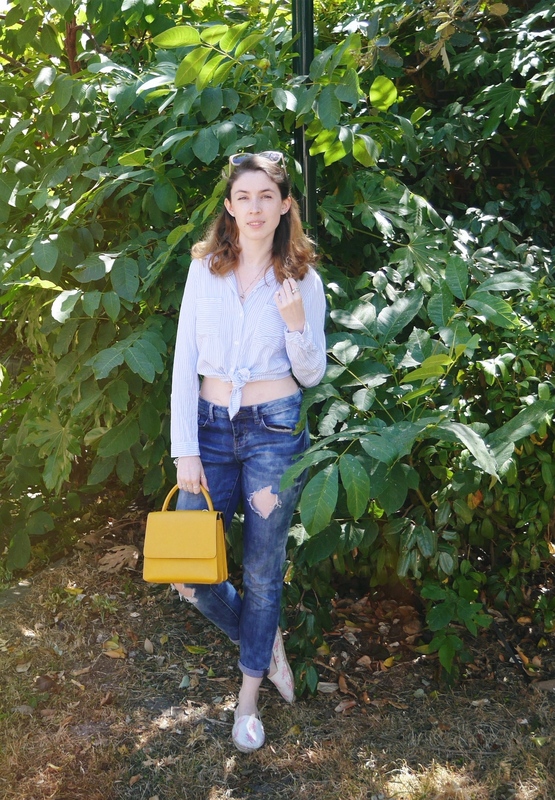 Are you a skinny or a boyfriend jeans kind of a person? Love the yellow bag, v. cute.